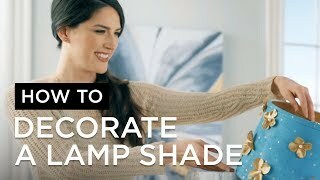 Make an old lamp new and different with this stylish lamp shade. An eye-catching decor accent, this drum shade features tan fabric with dark copper and grey metallic sheen circles. 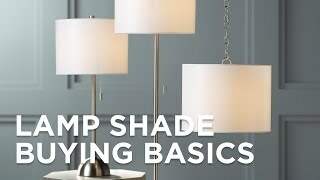 Spice up your favorite lamp with this replacement shade. 13" across the top x 14" across the bottom x 11" high. By Springcrest Collection™ lamp shades. Tan fabric drum shade with dark copper and grey metallic sheen circles. Tan liner inside softens the light. It will be a perfect fit to bring new life to old lamps. I'll let you know more when I receive them. Beautiful warm, rich colors with a modern flair to update my vintage twisted wood lamp that is a cherished family heirloom. I wanted a tan lamp shade because I don't like white. I also wanted blues and bronzes on the shade and this one fit the criteria that I wanted. I hope it meets my expectations in person. 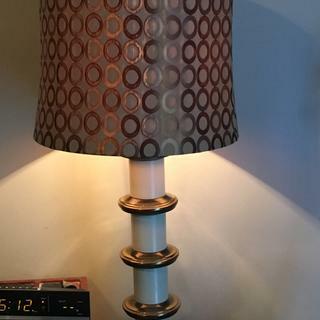 I have a large mid century lamp base with a a circle pattern. I am hoping this works. I have a hammered copper table lamp. I think this will look fabulous! The color works in the room and the design has a retro feel that will be perfect with lamp bases I inherited. I liked the design. I have a beautiful wooden lamp that my grandfather made on his lathe, years ago, that will look great with this shade. Will the correct adapter fit any normal size table lamp? BEST ANSWER: Yes, the shade comes with a harp that fits any standard lamp. This is a spider fitted shade. This is a lovely shade, made of quality material. the only drawback is that--because the fabric is thicker and because of the design--the light given off is pretty muted. But the shade is wonderful as a decorative piece. Really dressed up my retro lamps! These are gorgeous and exactly what I was looking for. Love the shade and received it very quickly. A very well made shade for sure. 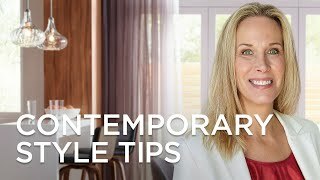 The unique design and style enhances my décor. Service delivery is excellent always on time and worth waiting for. A touch of tribal influence suffuses the diamond pattern featured on this soft drum lamp shade. Colorful beaded trim accents both the top and bottom of this versatiletop hat-shapeblack fabric drum shade.